Choosing Quality Outdoor Furniture for your home. a) Teak wood's density of grain prevents it from splintering. 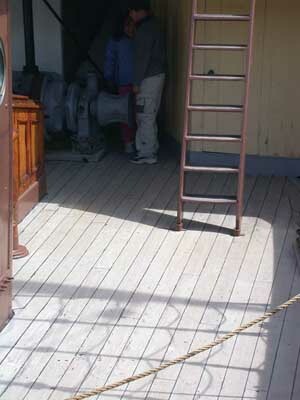 Hence its use on ships decks in days gone by, and in swimming platforms, rails etc in today's pleasure boats. b) Teak furniture's natural oils resist rot and decay. 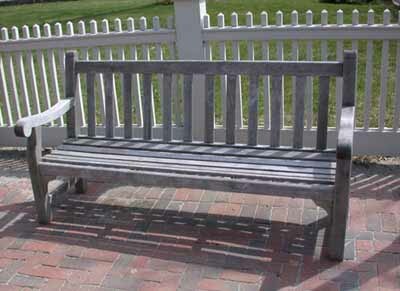 Please see below an example of a weathered bench in service for 20+ years as outdoor furniture. One may keep the Golden appearance of new teak patio furniture by oiling the teak every year, or let it weather to a silvery grey finish. Teak Bench above - in service as outdoor furniture for 20+ years. Note the silvery grey finish of untended teak, makes an excellent piece of garden furniture. c) Teak is naturally resistant to Salt Water and Salt Spray. Hence its use near sea coasts. No rust, no corrosion. As the examples in pictures below indicate. 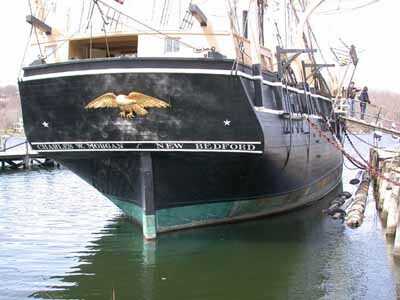 To the left is deck of the Charles W. Morgan, a wooden whaler commissioned in the mid 1800s. This deck is over 100 years old. Choose Teak products for your next purchase of Outdoor Furniture, and Choose GoldenTeak.com as your retail supplier of high-quality teak furniture. Teak outdoor furniture is easy to maintain and store during the winter. Browse our online store, or give us a call. As direct importers, we offer competitive pricing and superior customer service.